In movies when characters consume weed, they are often surrounded by a cloud of smoke. But in the real world, there are a number of ways to consume marijuana. It is important to learn the differences in each method before consumption, as each method can impact the user in different ways. Smoking is often the most recognizable method of marijuana consumption. In this method, dried cannabis is placed into a pipe, bong (a water pipe) or rolled into paper to form a joint or blunt. Then the user holds flame to the marijuana and inhales the smoke. If this method is new, the user should start with small hits. Smoking marijuana works instantly, so take it slow. Smoking marijuana is fast-acting and relatively inexpensive. However, smoking may have negative impact on the lungs. 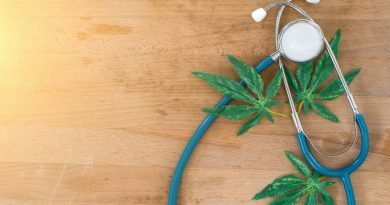 Studies have not conclusively determined the impact of marijuana on the lungs, but smoking is not recommended for people with asthma or lung issues. A vaporizer can be used to provide a similar effect as smoking marijuana without being as harsh on the lungs. “Vaping” is done by putting a bit of dried marijuana or marijuana extract into a vaporizer, pressing a button and inhaling the marijuana vapor. Like smoking, vaping impacts the user right away. The cost of vaporizers varies by type. There are rechargeable vaporizers, vaporizers that plug in and small, portable vaporizers that can be carried around. While vaporizers are easier on the lungs than smoking, people with pulmonary issues should check with their doctors before using a vaporizer. Pot brownies are not the only way to ingest marijuana. Edibles are available in almost any sort of food, from sweet to savory. There are also marijuana beverages available for those who would rather drink their cannabis than eat it. Edibles are created by infusing butter, oil or other ingredients with marijuana, then using that marijuana-infused ingredient in a recipe. Though this can be done at home, it is a delicate process. 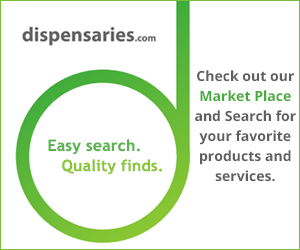 It is safer and easier to purchase marijuana edibles from a licensed facility. A professional will be able to determine the right dose for each person. Eating marijuana is very different than smoking or vaping. It does not impact the user right away, it can take 30 minutes to a few hours for the marijuana to take effect. Once it does kick in, the high feeling often lasts longer than it does by smoking. It is also a different feeling, so use caution when trying edibles for the first time. Always make sure that edibles are stored somewhere safe, out of the way of kids and pets that may mistake them for regular food and ingest them by accident. Marijuana oils and tinctures are created by extracting the cannabinoids from cannabis and mixing them into an alcohol solution, glycerin or oil, such as coconut oil. These marijuana oils and tinctures often come in a small bottle with a dropper or spray. A few drops or squirts into the mouth creates a low dose that is easy to control. The effects are not as instant as smoking, but faster than edibles. This method might not be ideal for people who require a high marijuana dosage for relief. Topicals are a form of marijuana consumption that can provide relief through skin contact without causing the user to get high. Balms, lotions, sprays or ointments are infused with cannabis and applied to the skin. This method can provide relief for eczema, rashes, minor burns or other skin conditions. Joint pain, inflammation, tendonitis and swelling may also be relieved with marijuana topicals. Always consult a doctor to get the right topical for the condition. Dabbing is for people who require a high dosage of marijuana. This method uses a concentrated cannabis that is heated to a high temperature and then inhaled. Dabbing can be done in several ways, often using a butane torch. With the complicated process and very high dose of marijuana, dabbing is not recommended for new marijuana users. This method is for advanced marijuana users who know how to properly consume weed and use the more complicated method.